The Organization Management menu is a place to configure and manage your organization as a whole. Open the three line menu in the top left corner of your screen, and click on the white arrow next to your organization. Next, select Organization Management. Update your organization name (only Owners can update this field) or update your organization logo. You can also download a .csv file of all of your organization data. 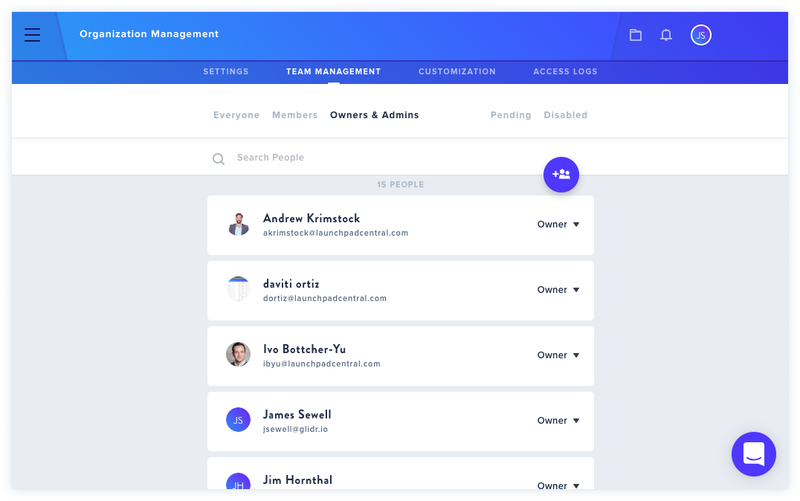 Team Management allows you to view and manage the members of your organization. You can filter by Owners and Admins, Members, and also view pending invitations. Pending invitations can be resent and you can also invite additional members to your organization from this screen. 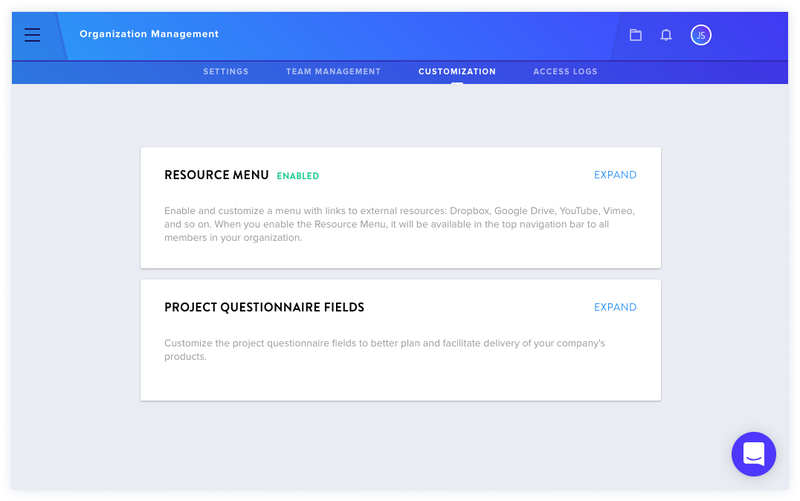 Expand each option to customize your Resource Menu and Project Dashboard Fields. 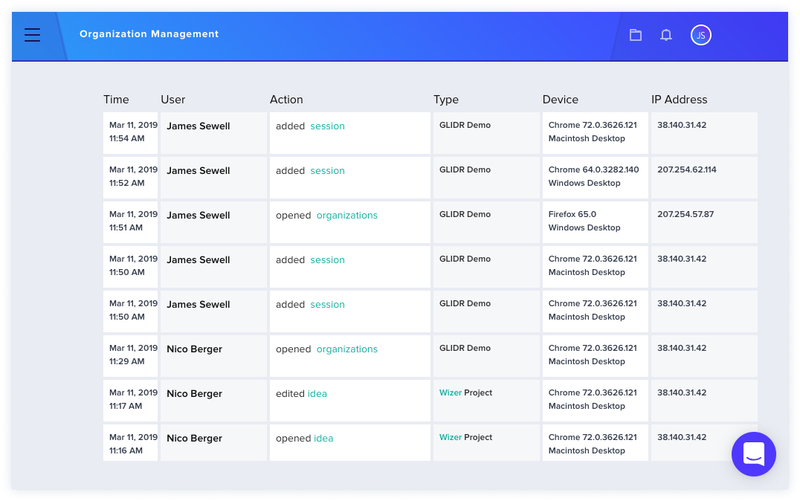 The Access Log is only visible to Owners and display user access activity within your organization. 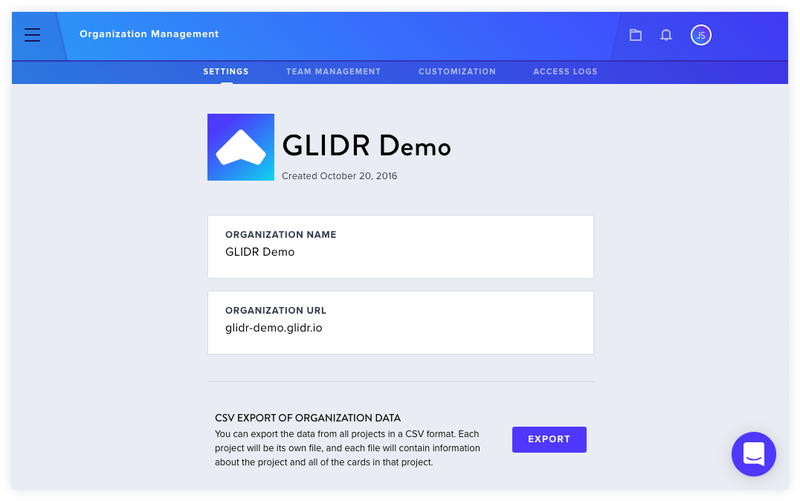 Please reach out to GLIDR Support if you have any questions about the Access Logs feature. Click here to find out more about using your Project Dashboard.